For patients who are anxious about receiving dental care services, sedation dentistry, or pain-free dentistry, offers a solution. At Lowes Island Dentistry, patients in Potomac Falls, Virginia, have access to a number of different sedation dentistry techniques, all of which can make for less stressful appointments. To learn more about your options for sedation dentistry, call or make an appointment online. What is the purpose of sedation dentistry? Many people have severe dental phobias centered on going to the dentist. Regardless of whether or not these fears are based in fact, some people are so anxious about visiting a dentist that they prefer to receive no dental care at all. Sedation dentistry offers an option for those patients and a chance for them to maintain their dental health without extreme anxiety. Sedation dentistry makes use of various medications to help the patient relax during dental treatment. What types of procedures lead patients to choose sedation dentistry? No two patients are exactly alike, and there is no standard list of procedures for which sedation dentistry is recommended. That said, many patients choose sedation during a root canal, tooth extraction and other types of oral surgery, as these are among the more complicated types of dental procedures. For patients who have extreme levels of dental anxiety, sedation dentistry is even available for basic dental cleanings. The use of sedation dentistry is determined by a partnership of the patient and the conscious sedation dentist. The shared goal is pain-free dentistry services and the elimination of high levels of dental anxiety. There are several different options available for a conscious sedation dentist to choose from. 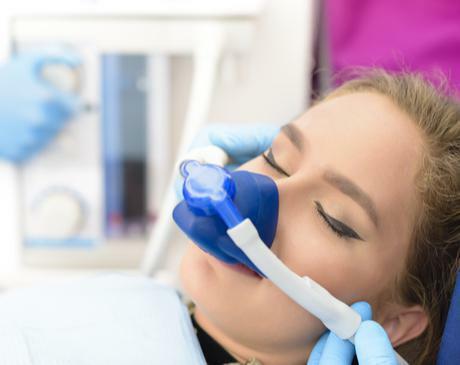 The most common approach is known as inhaled minimal sedation, which is also commonly called “laughing gas.” Nitrous oxide is delivered through a special mask to help the patient relax. Another approach is known as oral sedation because the medication is administered in the form of a pill. The dose is determined by the sleep dentist, depending on the needs of each patient. IV sedation is another option, which delivers medication directly into the patient’s vein. This approach allows your dentist to control the level of sedation as the procedure moves forward. Talking with your dentist is the first step in deciding if sedation dentistry is the right choice for you. 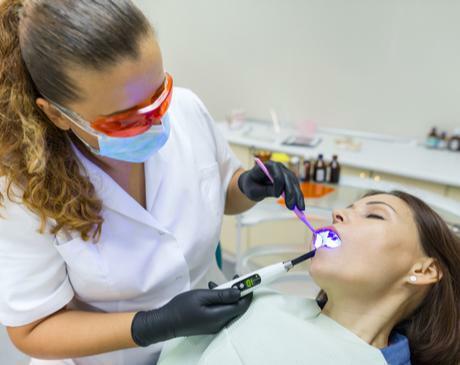 Whether you’re afraid of needles, have trouble getting numb, or are simply anxious when it comes to dental work, you and your dentist at Lowes Island Dentistry can discuss your individual case and options. There’s no reason to put off your dental work – call Lowes Island Dentistry or book an appointment online to get the dental care you need.